The complete conference schedule for the 2019 PDC Summer Conference is online and we're excited about the fantastic programming we have in store for you in Nashville! 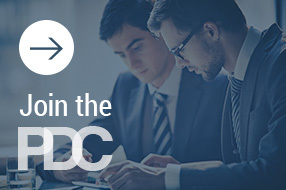 Registration for the 2019 PDC Summer Conference in Nashville is now open. Click here to register. Note: the PDC Summer Conference is for PDC members only. Please contact PDC staff should you have any questions about registration. The endless charms of the Music City come to life at The Westin Nashville. Situated in the epicenter of downtown, close to notable attractions like Music City Center, Bridgestone Arena and Music Row, our hotel provides guests with insider access and an impeccable location to explore the city. Reflecting the unique energy of Nashville, our contemporary guestrooms and suites encompass state-of-the-art amenities and luxury touches, including our signature Westin Heavenly® Bed. Delicious dining awaits at Decker & Dyer, a lively downtown eatery or stop by L27 for sweeping city views, inventive light bites and craft cocktails, located next to the hotel pool. PDC has negotiated a discounted rate at The Westin Nashville on a block of rooms for our attendees, which are outlined below. Deluxe Room (Single/Double Occupancy): $289 per night plus applicable taxes and fees. For a map of the venue's location, click here. These rates include complimentary wireless Internet. Based on availability, the hotel will honor the group rate from July 5-17, 2019. Reservations may be made on our special portal here. Due to the popularity of past PDC Summer Conferences, we encourage you to book your room early to guarantee a room in the conference hotel. Thank you to our 2019 Summer Conference Planning Committee!